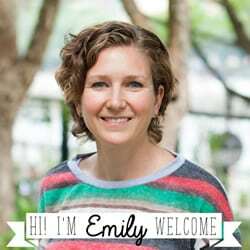 We are so fortunate to have a fabulous guest post today… enjoy!! 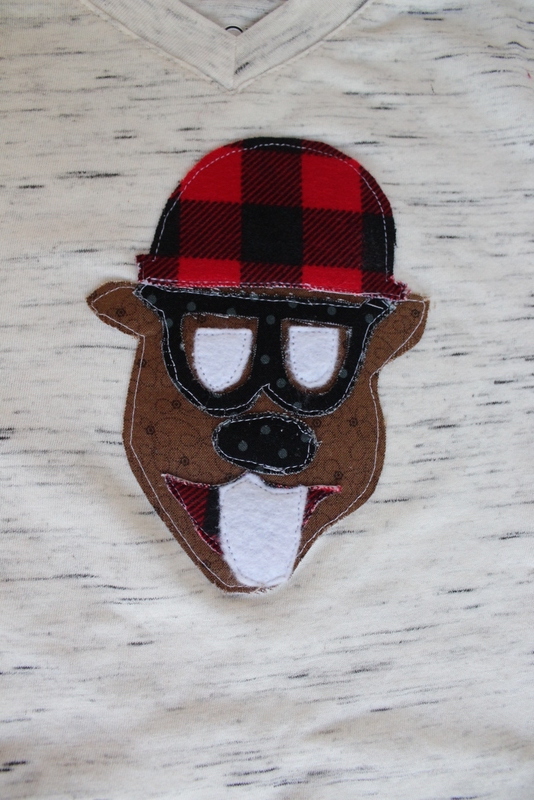 This Hipster Beaver Applique is so so cute! Hi everyone! Alicia here from Sew What Alicia. 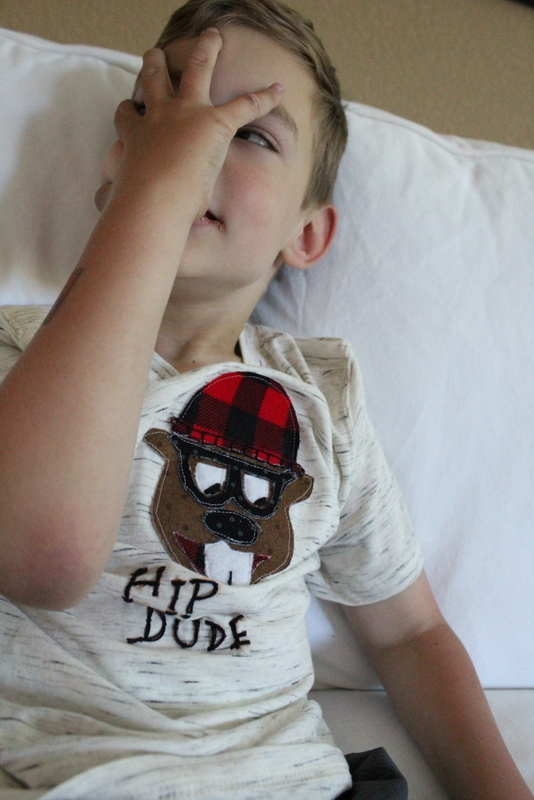 I am so excited to be here sharing a fun post with you today! I am obsessed with all things sewing and you can find lots of fun patterns and ideas over on my blog. 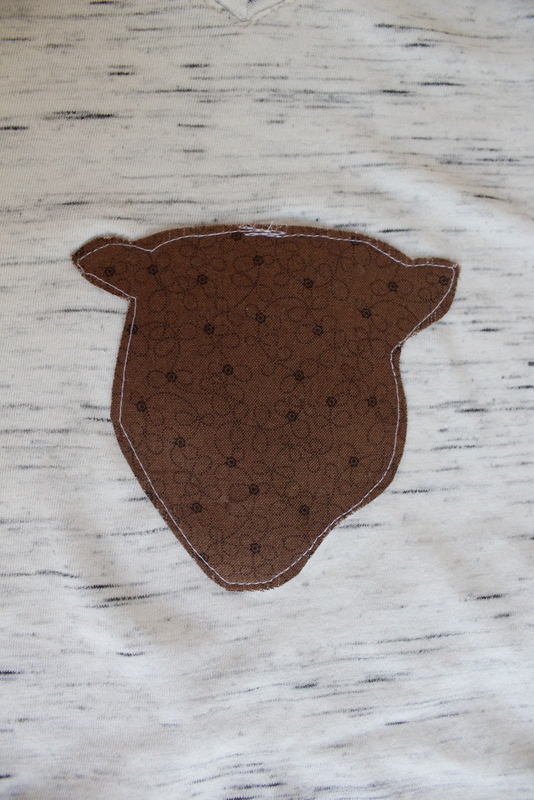 But today I want to share this adorable appliqué pattern with you. 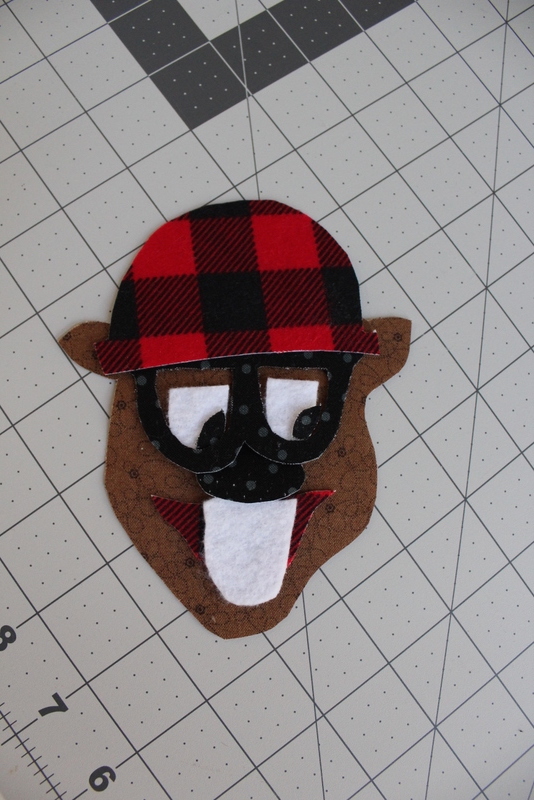 If you have any experience with appliqué this is pretty straight forward. If not don’t fear I am here to help! I have labelled the different pieces with which fabric you will be using. 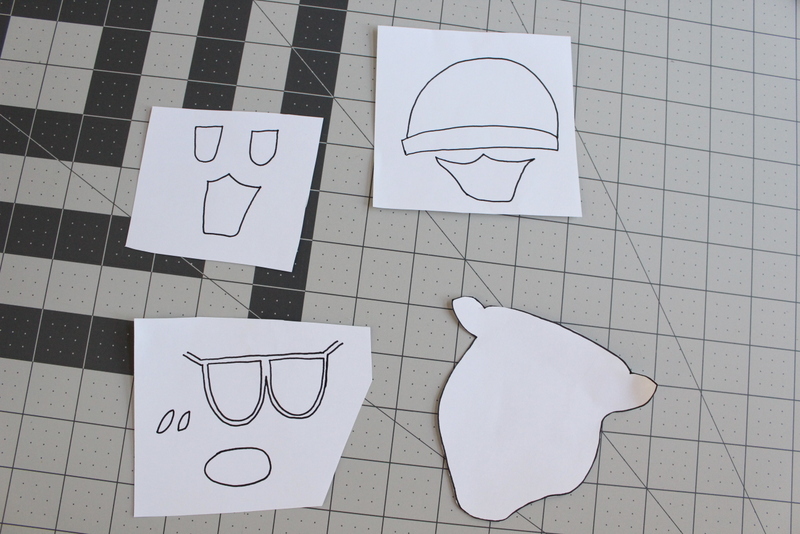 After you have printed the file out go ahead and cut the paper into sections based on what fabric you are going to use. We are going to go ahead and attach the fabric to some sturdy interfacing so it is easier to cut and attach and to hand stitch details later. 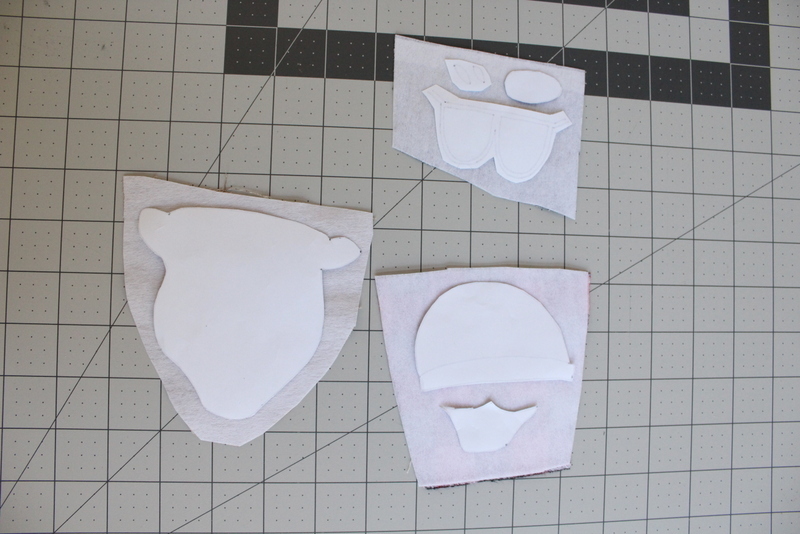 (If you are using felt you can skip the interfacing step and go straight for cutting out the pieces and attaching them.) Cut a piece of fabric that is the same size of each piece of paper. Then line them up on the interfacing. 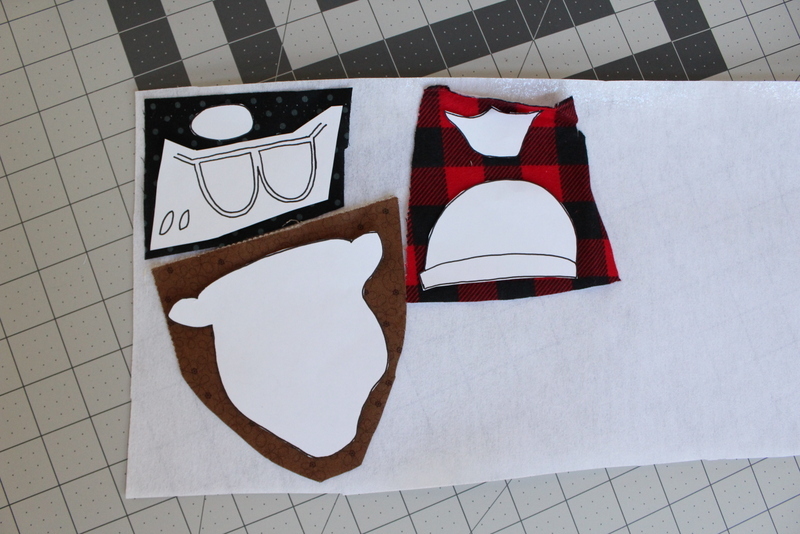 Once you have pressed the fabric and the interfacing together you will be ready to cut the pieces out. Bring the paper pattern back and place the fabric face down. We can use a pencil to trace the pattern straight onto the interfacing. Make sure and turn the pattern piece over since we are on the wrong side now and it will be mirrored when you cut it out and flip it over. Now we should have all the pieces cut out and ready to start attaching. He is not much to look at all in pieces! 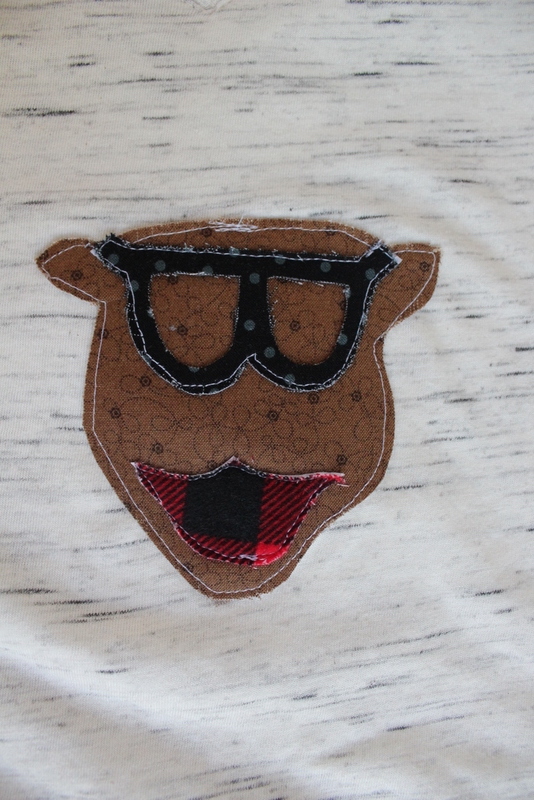 I attached mine to a t-shirt that I grabbed at the store but it would be the perfect addition to Emily’s Summer Tee! When I attach my appliqué I like to start at the bottom and work my way up. Add your details and it is all done!! Not as hard as it looked right?? This one loved it and told me I was really good at sewing, so that gave me a little glow in my heart!! 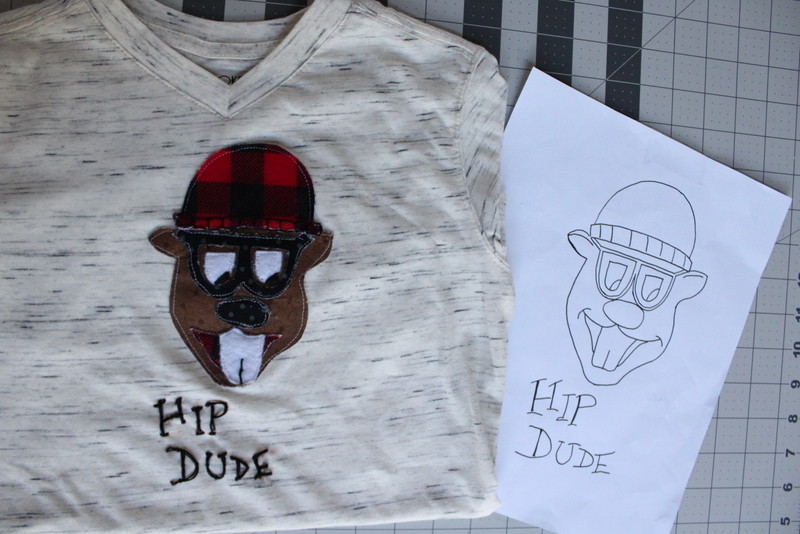 Thanks so much for letting me share this fun pattern and tutorial with you! You can find me over on Sew What Alicia sharing sewing tutorials and other great sewing tips! 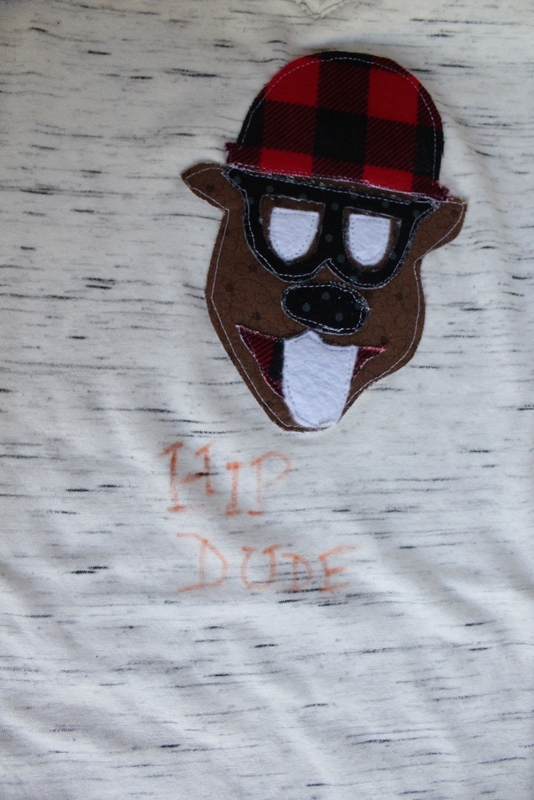 Thanks so much Alicia, I can’t wait to try this fun “Hip”ster Beaver shirt! So cute! Thank you for sharing with us at #HomeMattersParty .We would love to have you again next week.